Anakin is the young Jedi who wants to prove his loyalty and show that he is worthy. With the help of his master Obi-Wan he is going to protect his future love from the attacks of assassins. Don't let them come closer to Padme! Anakin became the apprentice of Obi-Wan and he was accepted to the Jedi order. 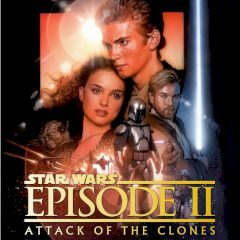 They were asked to take care of Senator Amidala, who was attacked several times by the unknown assassins. Guard her and fight villain droids using your lightsaber. There is a conspiracy that will affect the whole galaxy, but Jedi are blinded by the dark side of the force and they can't figure out what is going on.